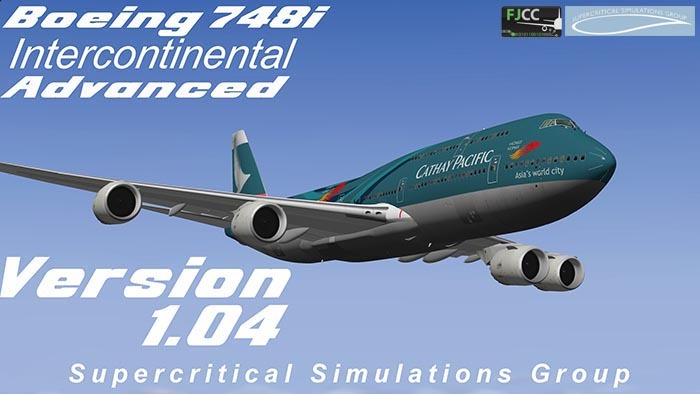 Supercritical Simulations Group (SSG) has updated the Boeing 748i Intercontinental Advanced to version 1.04. 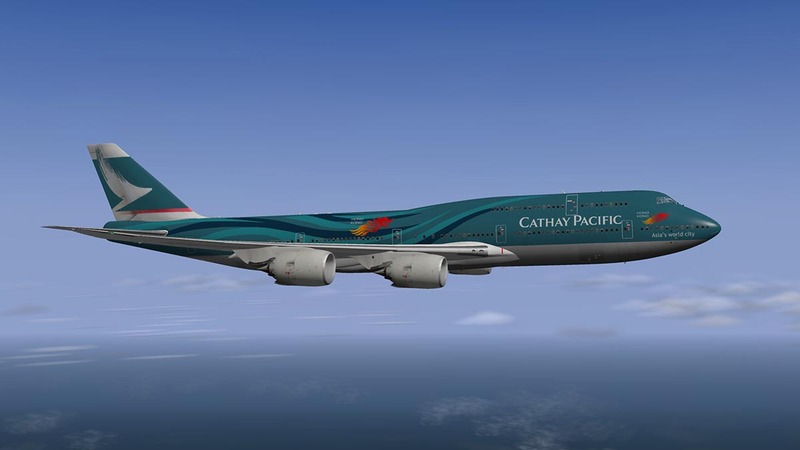 The big news though is that the sale price has been kept on as the new entry price for the aircraft, so you get a whole lot more for a whole lot less. The price is now set at US$45.00. So what do we have in the SP3 v1.04 update? 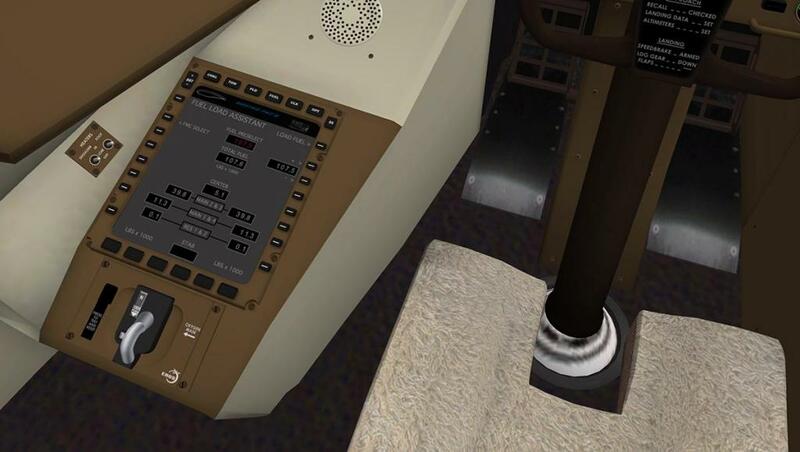 Quite a lot with first the new cockpit textures that does give the aircraft a quality glow in the cockpit. 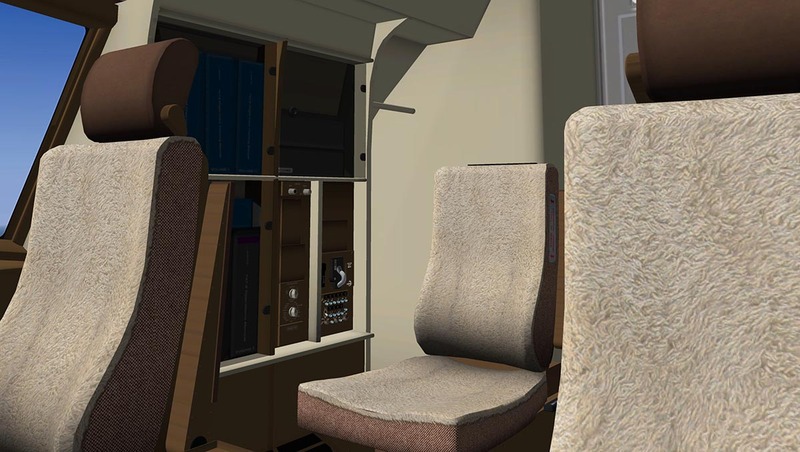 My first reaction to the initial release aircraft was "I don't think I could spend hours and hours in here", were the textures that bad? Well no not that bad but certainly not good enough for an aircraft of that price range. Flying long, long hauls means spending a lot of time looking at things to keep the interest up, but overall it is more the feeling of how it felt sitting in there in a realistic environment, and in reality the B748i just didn't deliver... but it does now. 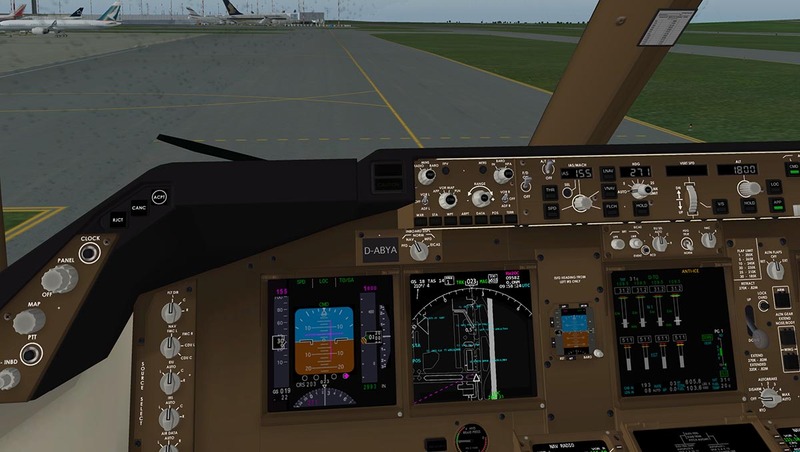 The cockpit is now as good as any high end payware environments, it is frame rate friendly as well. As has the external textures that been given another once over to refine them even more. 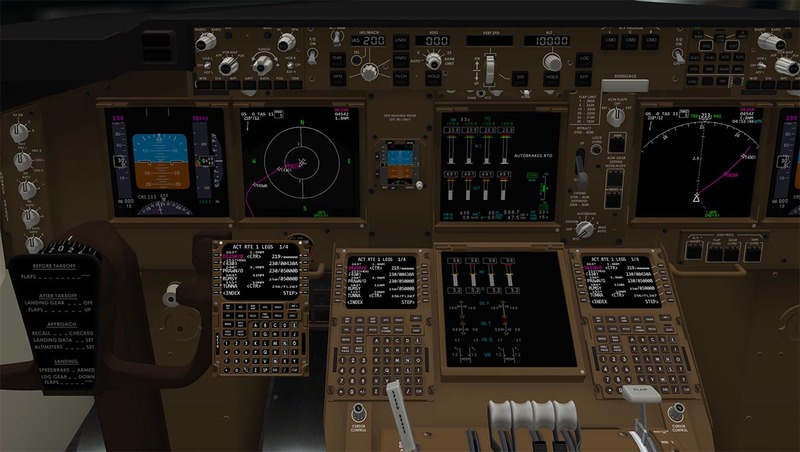 Systems have also had more refinements as well, a lot has done behind the scenes, but others include hydraulic system AUX pump behavior and indications, bleed/pressurization behavior at cold and dark startup, electronic checklist, custom autobrake and anti-skid system logic, Improved ADF display, Improved VNAV (A lot of work there), Improved fuel consumption calculations and a lot of work on the FMC by FJCC (Javier Corte). The FMC is now very good, but you will require a knowledge on how FMC's work to the very best out of it, there is always a bit of cleaning up to do to get the clean route you need, STARs are the worse. 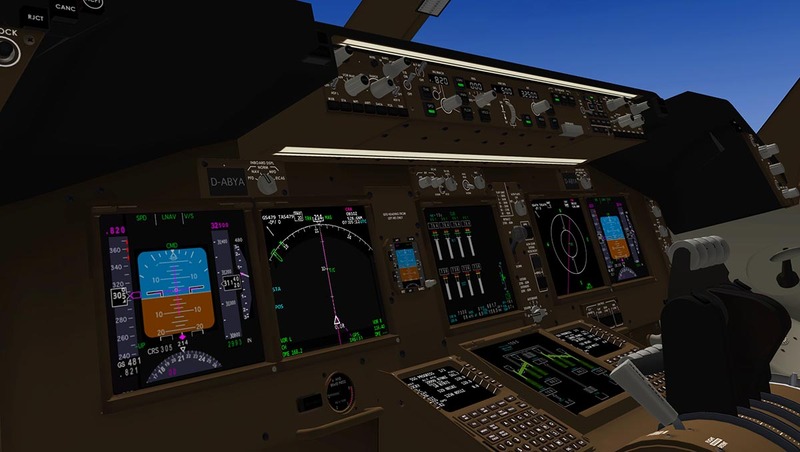 But once done it works very well, There is a trick on reloading a flightplan as well, and you will need to reset the SID /STAR at each end of the imported route. 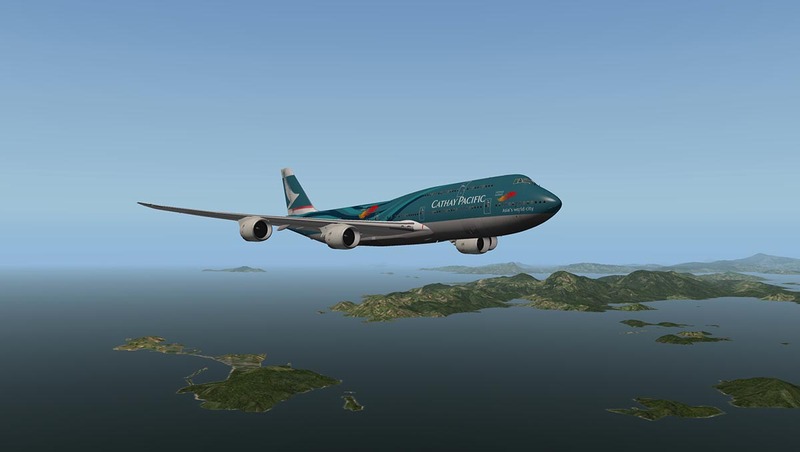 The biggest feeling that comes through with the B748i now is how well it does its job through the whole service route. 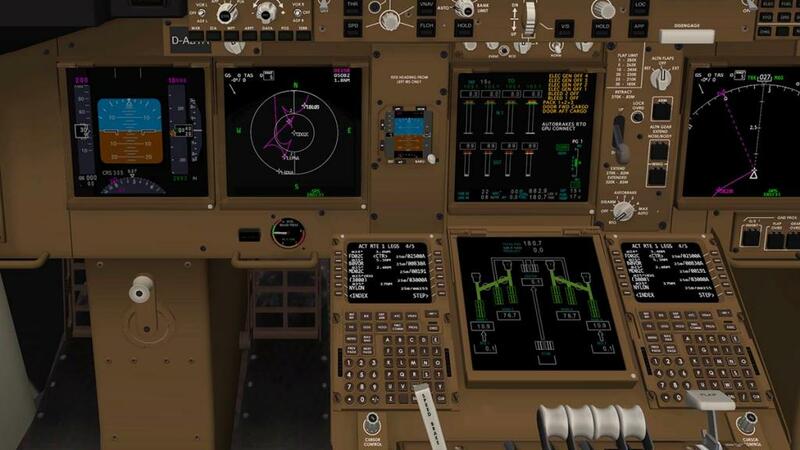 The systems and procedures are uncannily smooth, from the moment you pull back on the yoke to set your pitch up, to the wheels touching the destinations runway. 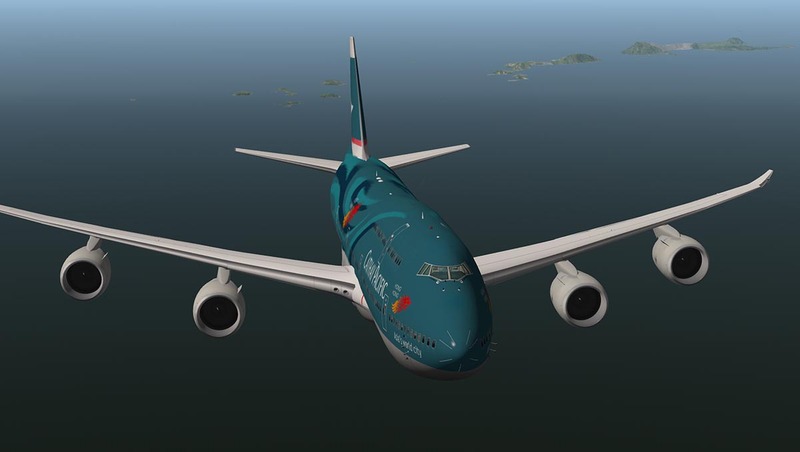 All aspects of the flight are overwhelmingly realistic, with lovely turns and manoeuvres right throughout the whole flight profile.. 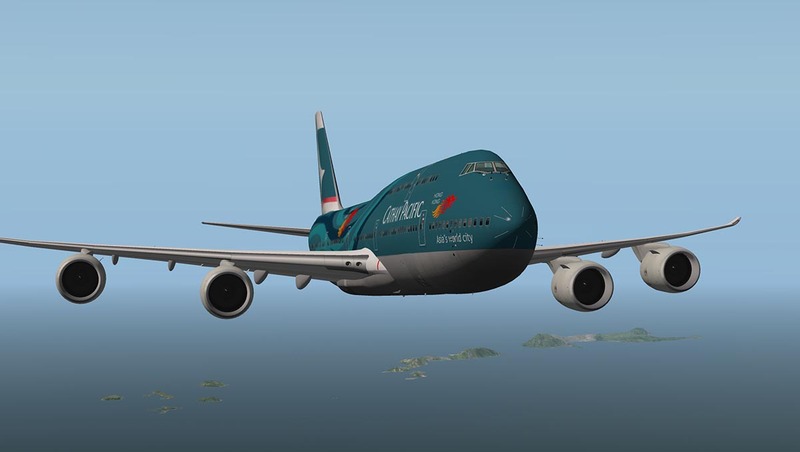 In short is a very nice rewarding aircraft to fly, certainly if you really like the "heavies". 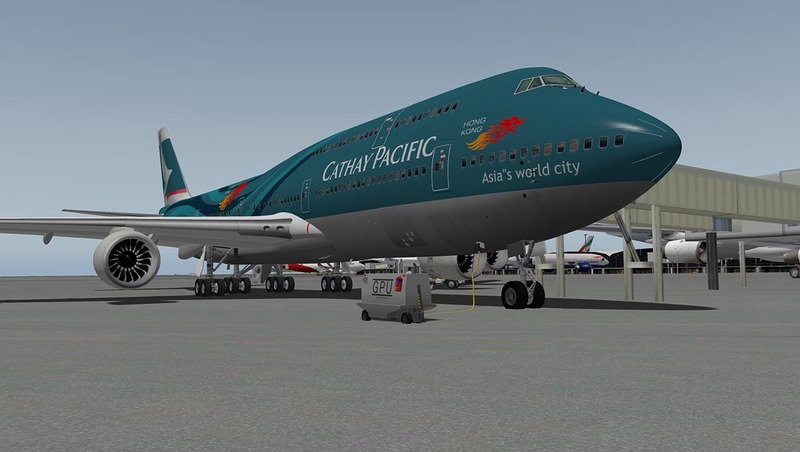 To see what the new v1,04 update feels like I flew the B748i from VHHH (Hong Kong) to WSSS (SIngapore), which is a short three hour hop for an aircraft like this, but it will still give you a feeling of what the aircraft is like in service. 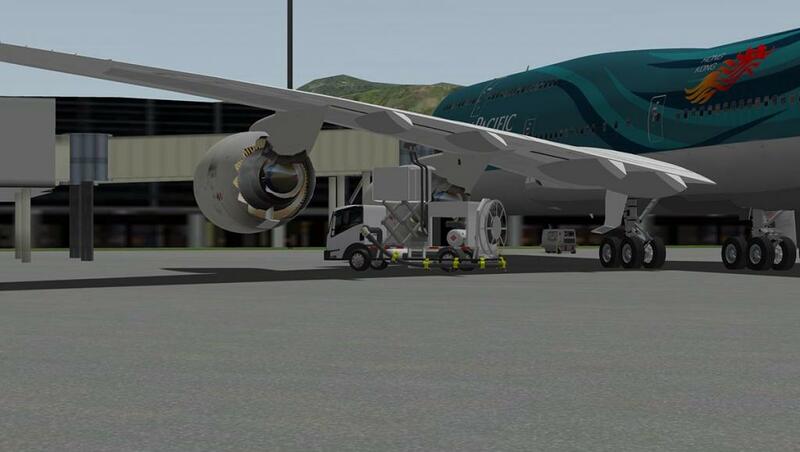 You can tow the aircraft around the ramps with the tow-truck (2 speeds - forward or pushback) and with that it is easy to manoeuvre this huge aircraft into the right bay, but watch stopping as the brakes don't work on the aircraft if the power is off... so it keeps on going. A GPU is also provided for external power, which is a very nice addition. 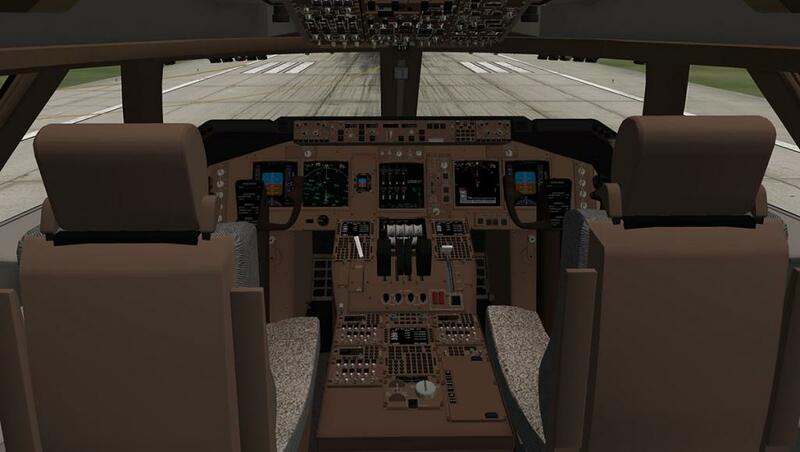 Cargo doors open, but I don't like the open one and open all main passenger doors, so I keep them closed. These items are all controlled by the menu (Pad?) on the left of the pilot. It can also allow you to set up the weight and passenger loads and another menu is great for loading in the correct fuel loads, either from a manual setting or from the FMC. 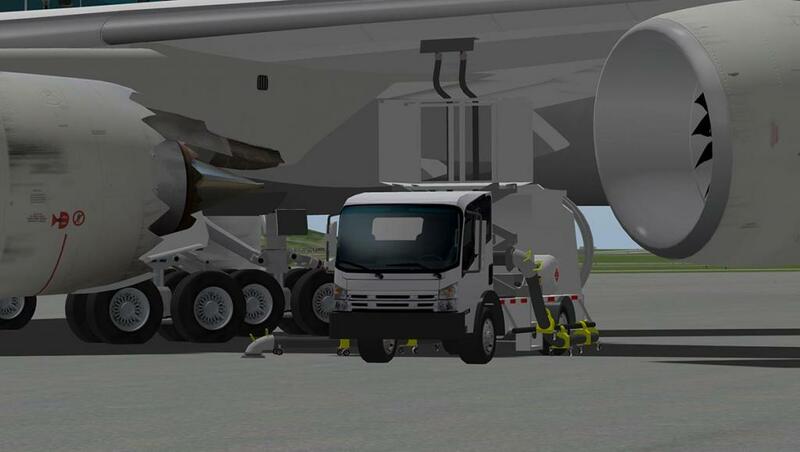 When loading a fuel truck is now positioned below the left wing. Note: you have to have the park brake on to use the fuel truck, I found that my keyboard setting for the park brake would let off the brake but not activate it? (not the custom SSG park_brake setting). You can either use the Fuel Truck with the brake on and the push-back truck with the brake off... but not together. Setting up the FMC is easier because it pops out by pressing the F8 key. But I found an issue in the past with that I could type into the FMC directly from my keyboard, but everything else including my screen was frozen? 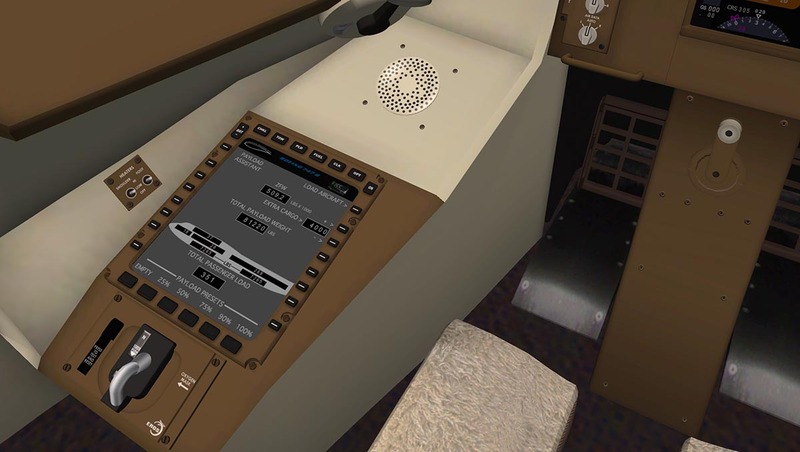 It was a problem when usually when reloading in a flightplan in that I then annoyingly lost control of the aircraft, but could only type into the FMC? 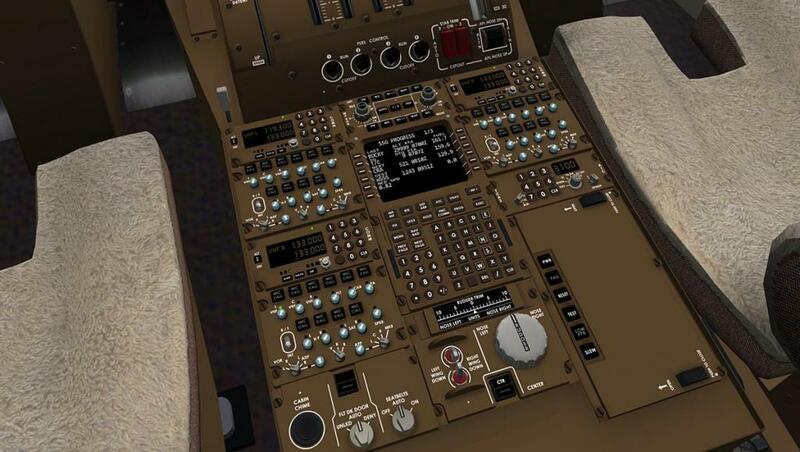 I found that if you pressed the white button on the top of the (popout) FMC then the left pad would show "KEYS" to denote that you can then type in with the keyboard, press the same pad on the right side of the FMC and you get control back... problem solved. You are restricted to just the two airport ICAO ARR/DEST points on saving the flight-plan (VHHHWSSS). Which means if like me you can't designate say the runway or approach direction in the wording of the flight-plan if you have more than one plan for that route. As noted you have to add in the SID/STAR onto the installed route to finish it off, and the STARS can still be very messy and in need of cleaning up... 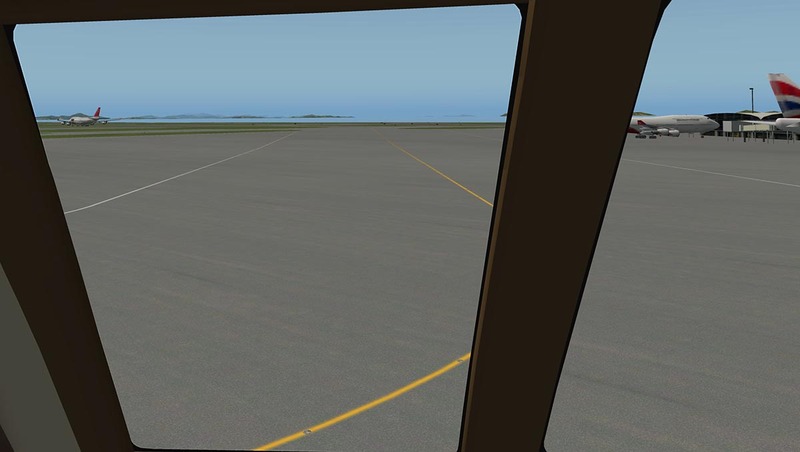 This does take a little time out of setting up the aircraft. 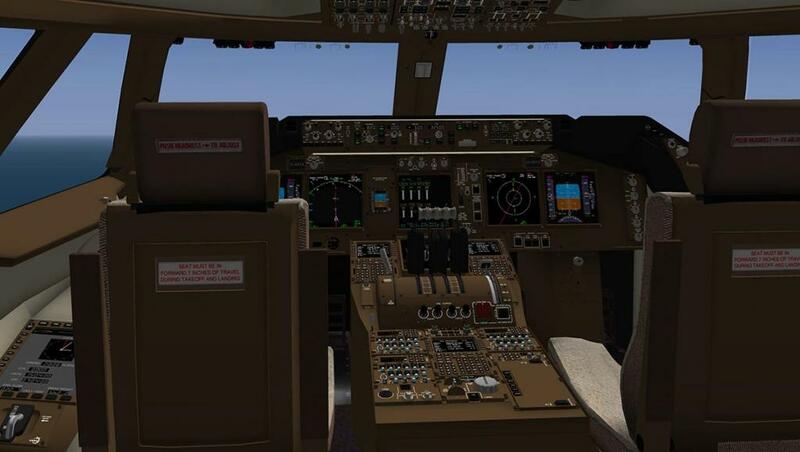 But once done and all the preferences for takeoff, cruise and landing are completed the FMC works very well. THE "PROG" (flight Progress) page on the FMC is excellent, with updates (fuel) and distances to the next waypoint and final destination. Startup of each engine on push-back will fill in the time for the long distance needed here on the push and the airport map on the MAP display is simply excellent for knowing (or learning) your route to the active runway (25R), to activate the airport layout just set the MAP distance to 5nm. 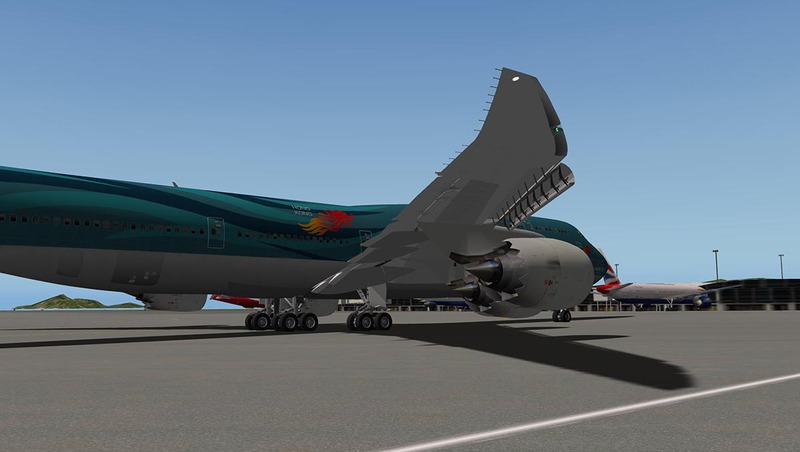 Flaps are set to 10º and the excellent forward edge slats (rear flaps) are very well designed and animated to the that very efficient wing of the B748i. 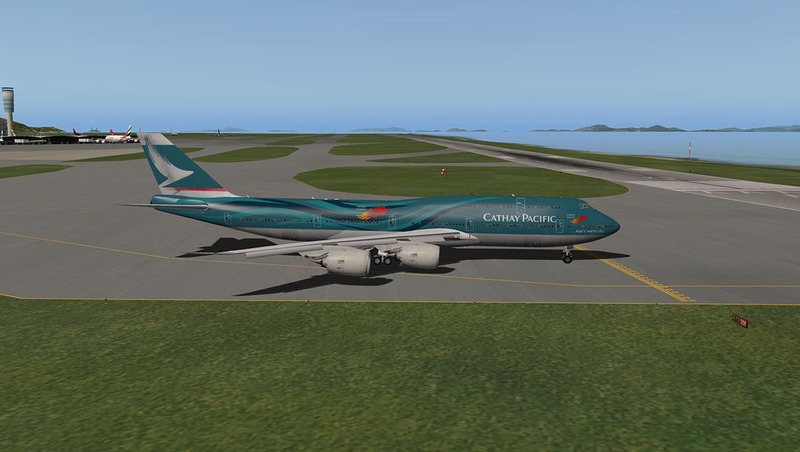 The aircraft needs a little shove of power to get all that weight moving and more power is required in any turns, but it is very easy to find the right taxi speed and considering the size of the aircraft it is easy to steer and place correctly on the taxiways, again the airport map display really helps. 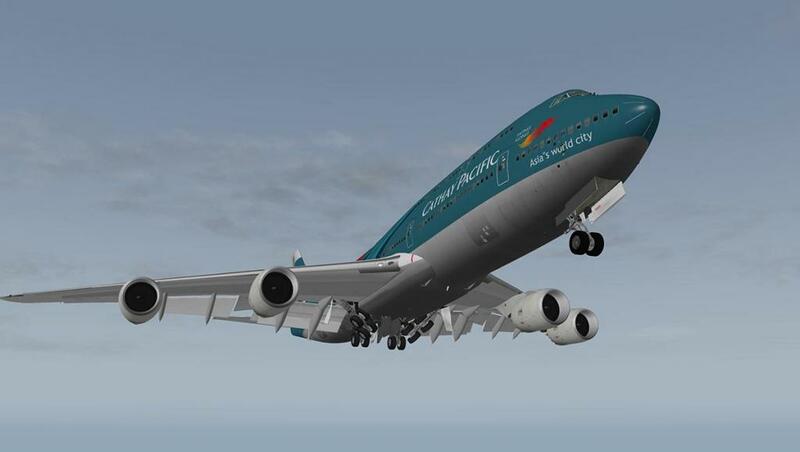 Power up and the aircraft tracks very nicely even with a little crosswind. 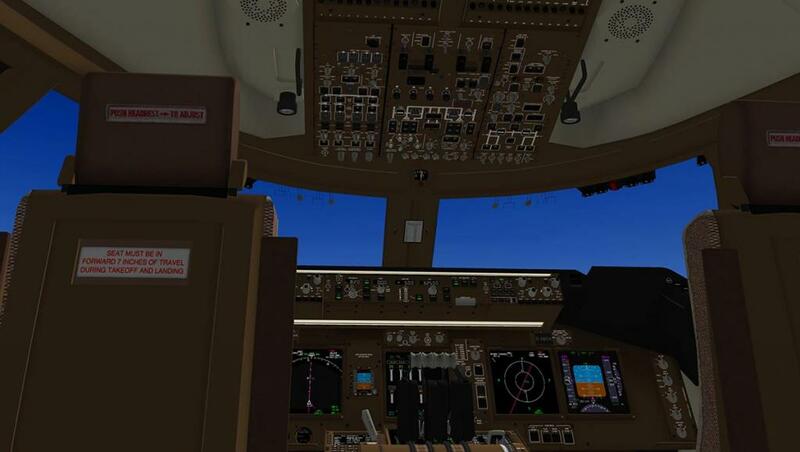 At 185knts I rotate and the pitch is very clean at 30º. Many aircraft at this point tend to porpoise a little on the climb out, but the 748i is rock solid. 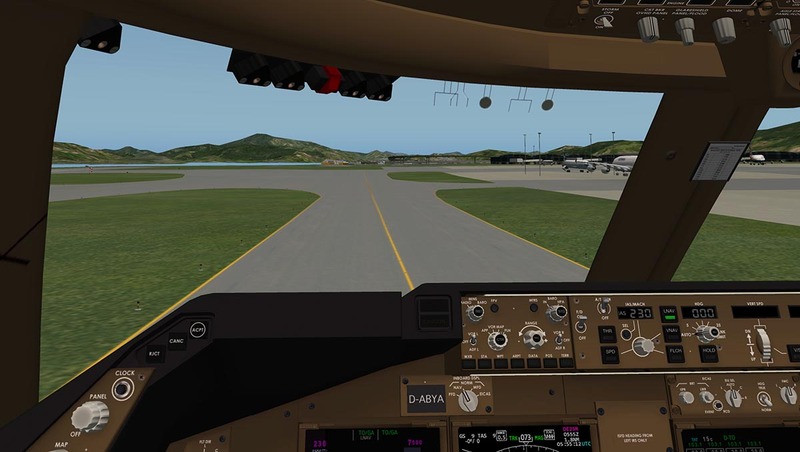 I had the LNAV selected so at 400ft when I engage the autopilot the aircraft hits the track perfectly and then curves to the left away from VHHH, Hong Kong. My transition altitude is 7500ft ASL, so my climb is 2500fpm at 225knts. 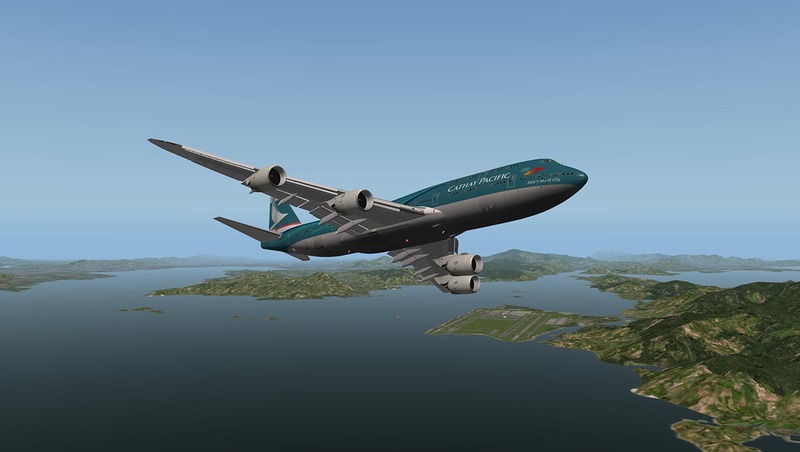 I found that taking it slow is the route with heavy, heavies like the Boeing 747 (A380) and the B748i is simply wonderful in the turns and the climb to the trans altitude. 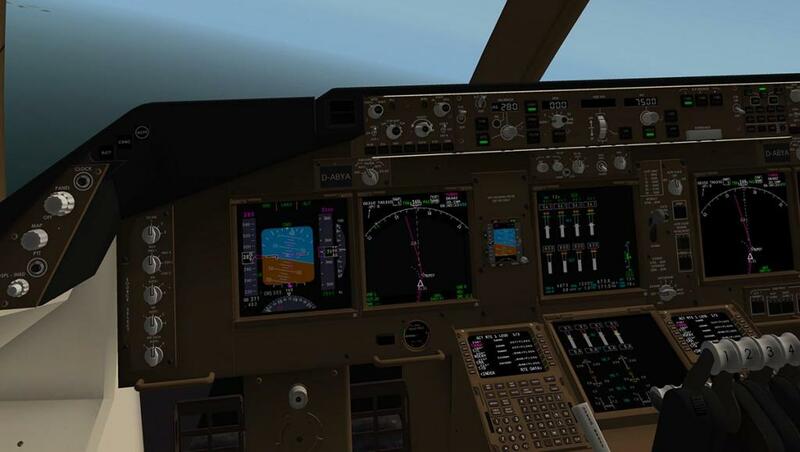 When there I cleaned the aircraft up and set the speed a little higher to 280knts and start the climb to 30,000ft at 1700fpm. 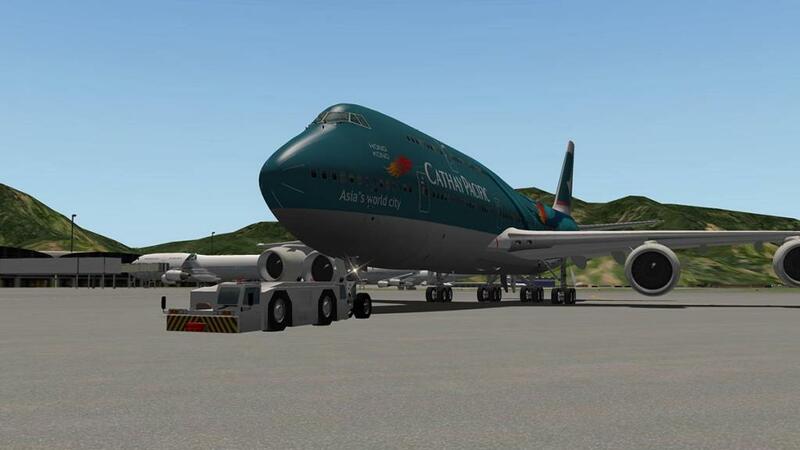 You do need to do a lot of homework in setting these aircraft up for routes and weight settings. SSG provide you will full sets of tables and performance data in their "SSG 747-8 Advanced FCOM" manual and there is a "SSG 747-8 Advanced Quick Start Guide" and "SSG 748-i Normal Checklist" as well. There is a "SSGCUSTOMLIST" for setting your keyboard input directly to the plug-in. 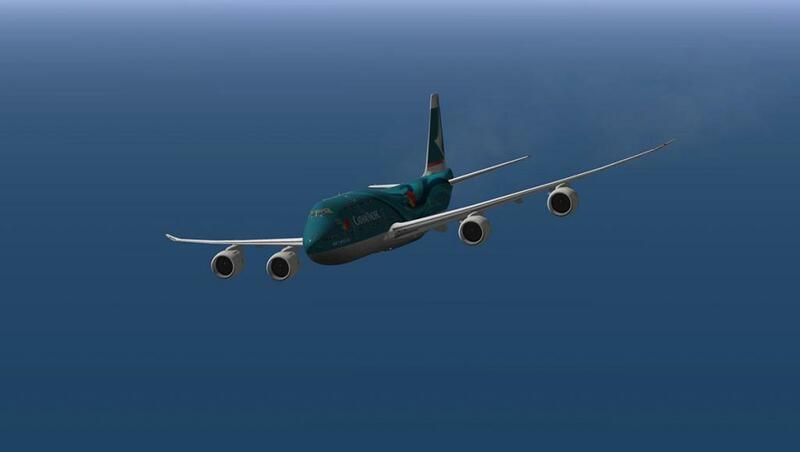 At FL300 I increased the speed to .82m and stepped up to my final altitude of FL350 over the next 400nm. You can see an excellent clock and timer on the menu display that also gives you an update on your fuel flow and gross weight. So how far have we come? 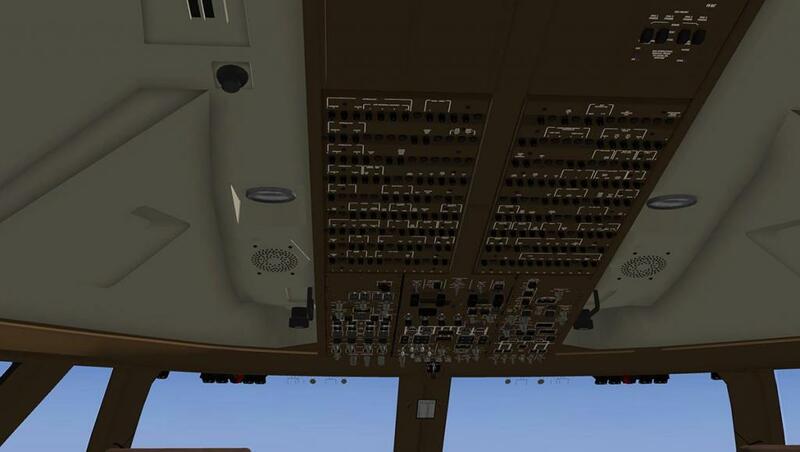 Those images (above) were the original release images and the current aircraft cockpit (below) is certainly a far, far better place for flying in now. So much work has gone into this aircraft in the last six months and the credit goes to SSG in what has been overwhelmingly achieved. 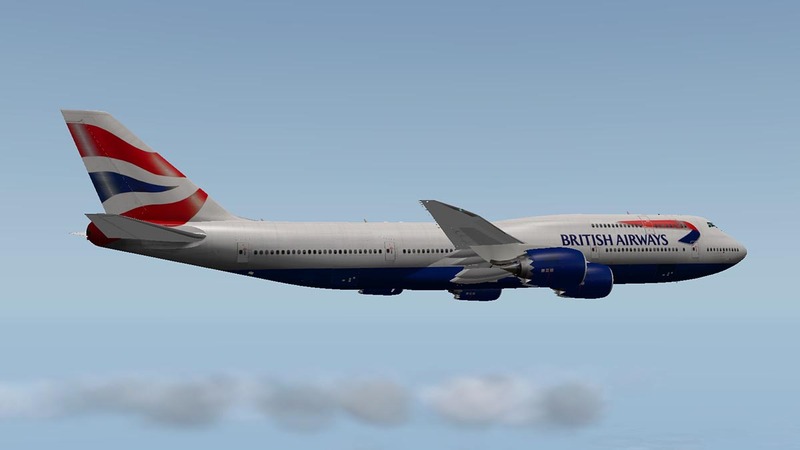 We have listed the liveries many times before in the updates and release reviews. 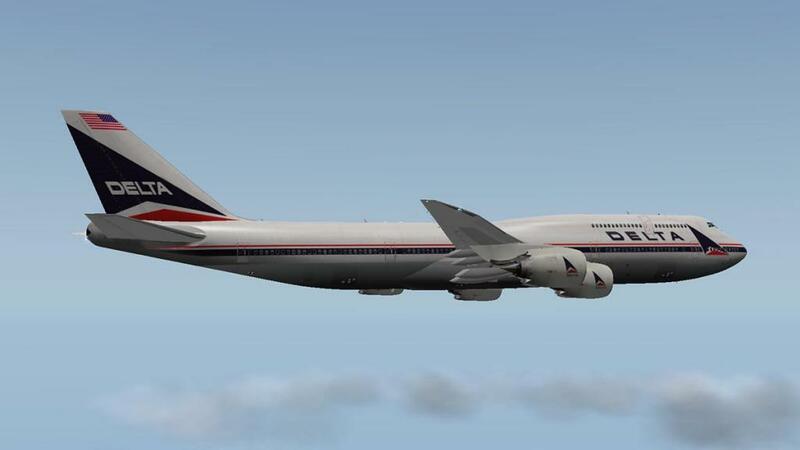 So I will note the extra liveries now also available to the B748i. The Delta is superb and I like the British Airways (BA flies the B748F Cargo version), The Air Force One replacement looks great as well and there is the German Lufthansa World Cup (Winners) livery. 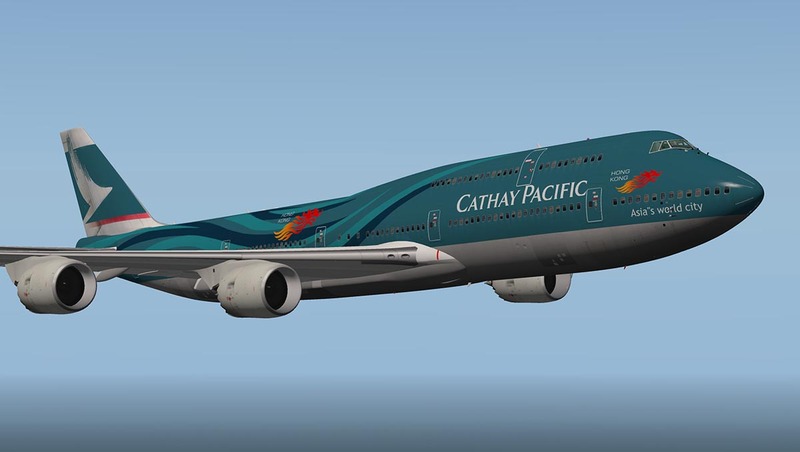 The Cathay Pacific "Asia World City" livery I flew in this update is excellent as well, and SSG have released for all your oil rich top 1% in world monetary reserves a Boeing Business Jet (BBJ) that you can play tennis in the sky on. Liveries supplied include : KLM, Korean Air, Lufthansa, Air China, Air Force One, Boeing Sunrise, Boeing Blue. 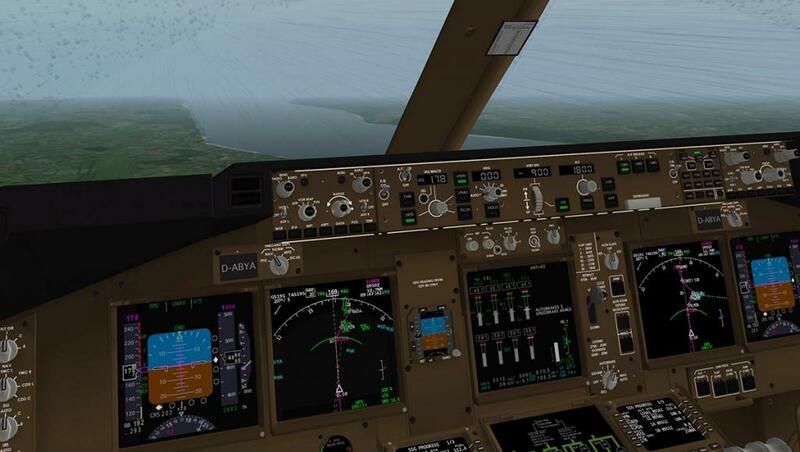 Frame-rate now is very good considering the huge size of the aircraft in X-Plane, it will even on my machine run with the 10.30 clouds (tested here) and still have a bit of head room. Only issue is that this big people mover flies mostly from huge mega city to huge mega city, and that means One very large custom scenery to another very large custom scenery. 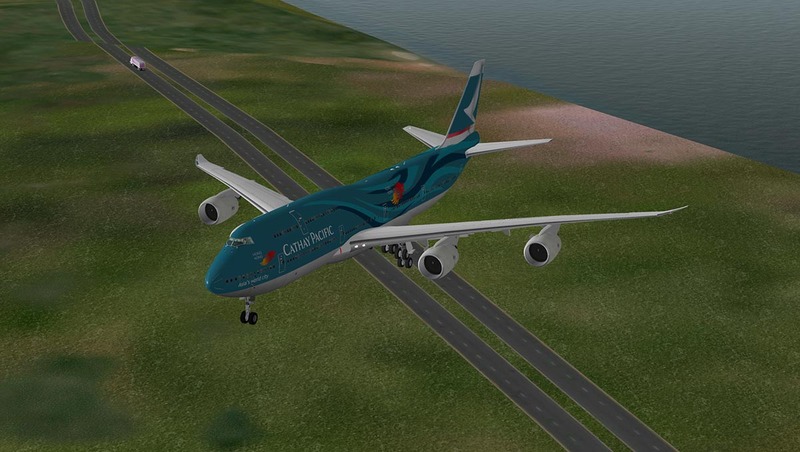 So adding one very large aircraft to a very large custom scenery is always going to really test your graphic chip. Dropping the textures will help a little, but you can get away with it. 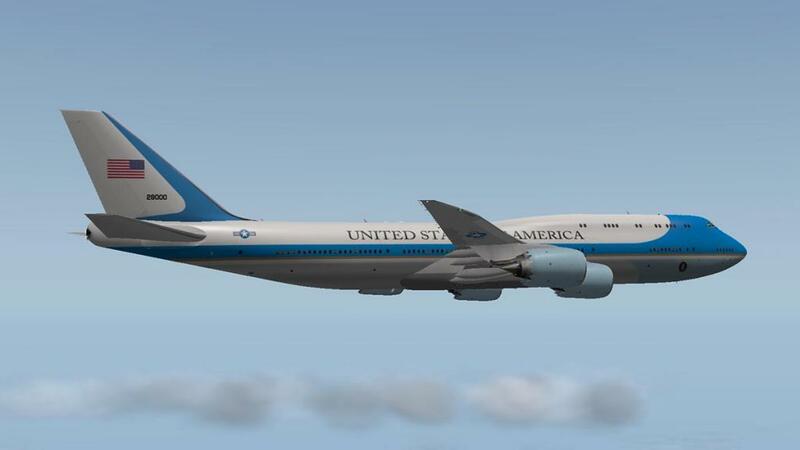 In the air the aircraft looks simply amazing. As noted it will do lovely sweeping turns at waypoints and click off the NM with ease. Closer to Singapore the weather deteriorated as I came down to 7500ft ASL, you have a great target line to give you the exact point you want to be at a certain height on the MAP display. 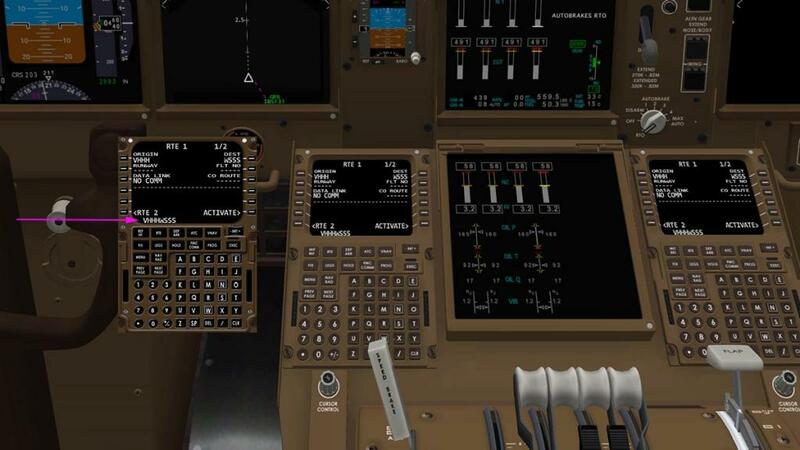 Note the excellent independent duel MAP displays for both Pilot and Co-Pilot, you can set one on the ILS - APP and the other still on the PLN (Flight-plan) display and a glance over will give you all the approach information you require. 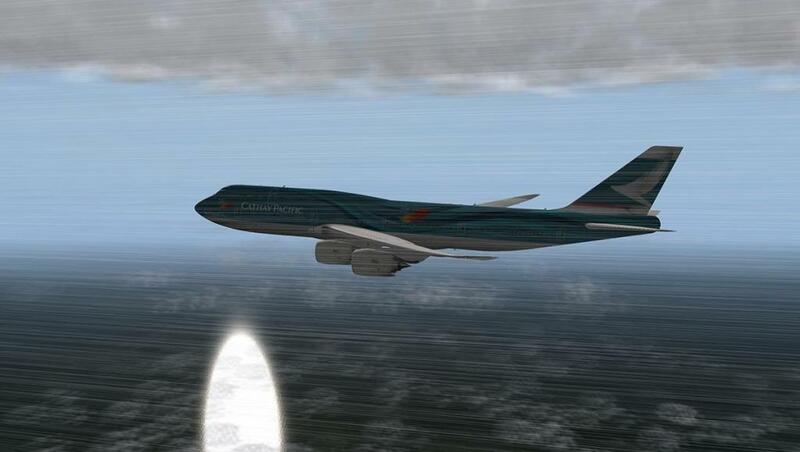 Rain started early and you have great water effects, but they come on at 250knts which is too high a speed. 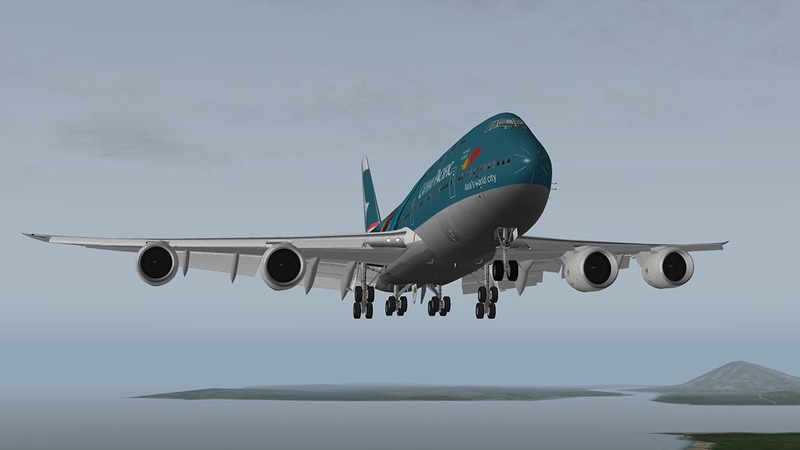 The aircraft is very good in low speeds, but you have to watch the drop in the speed zone between 20º flap and 25º flap position as the speed is to fall from well over 200knt to around 185knts and you have to cater for that, but even at that low speed the aircraft is as steady as a rock turn to the approach vector. 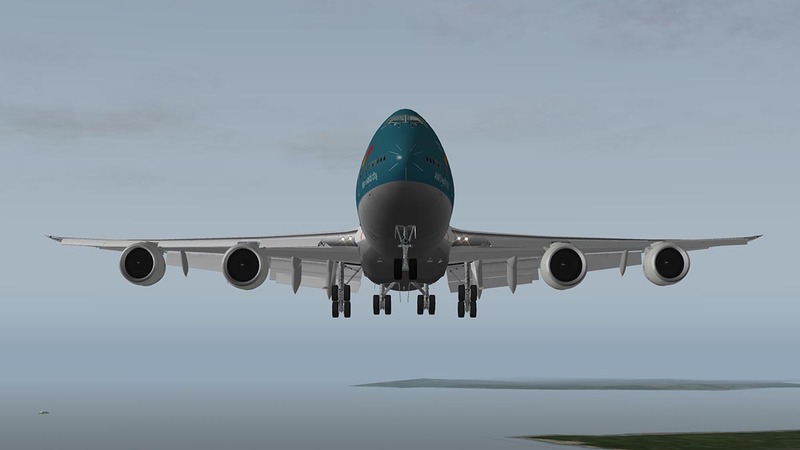 On final's just before collecting the ILS you now have 30º flap and 175knt and reducing the speed down to a very handy 155knts when in the ILS. The aircraft was a very fast 180knts in the early days, but the adjustments now means that 155knt approach speed is acceptable. 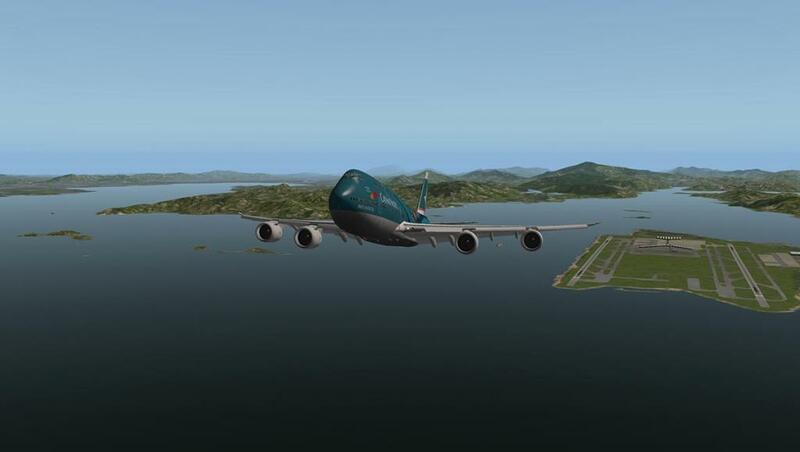 I collected the ILS at 1700ft, "Too Low", well I always like a low collection to keep the speed in check. 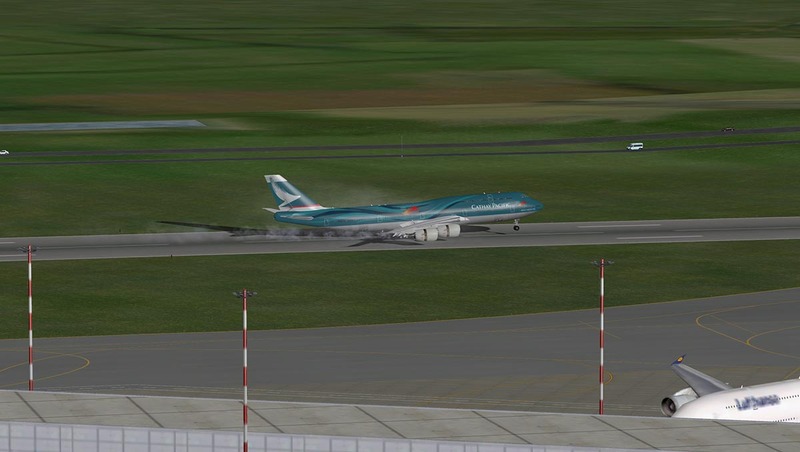 On landing the reversers kick in well but the nose was very slow to come down on the tarmac... wind? or a breeze? directly ahead it might be, but it took too long for me. 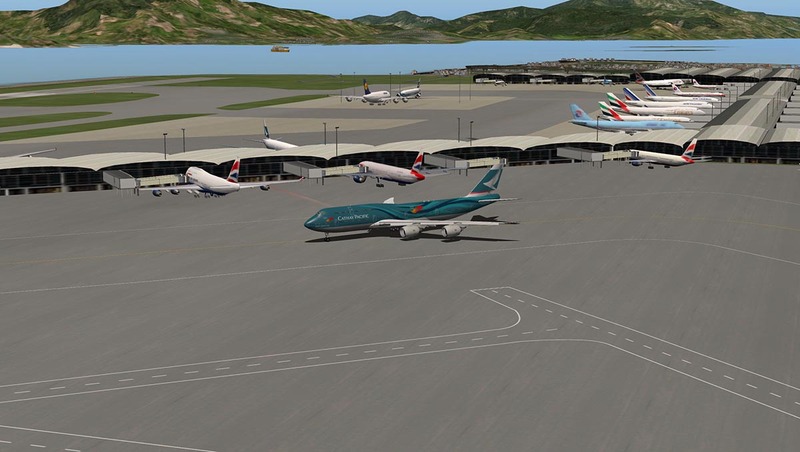 Again the airport layout of WSSS on the MAP display was excellent in finding the right gate to park the aircraft. 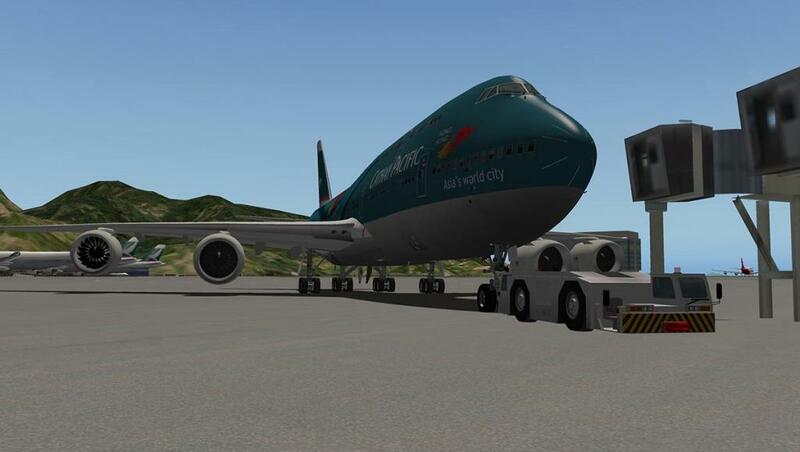 Parked up and the power GPU attached I looked back at a successful fulfilling flight. 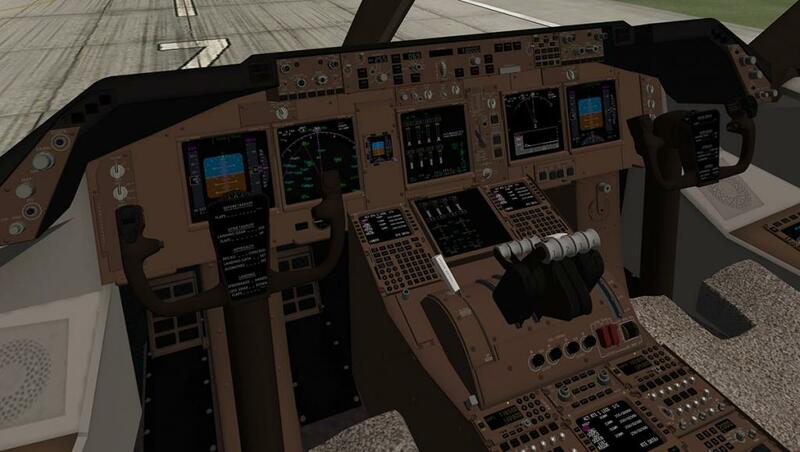 I evaluate my flying on how well I performed in every aspect of the flight, how I interact with the aircraft and how I handled it over the service. 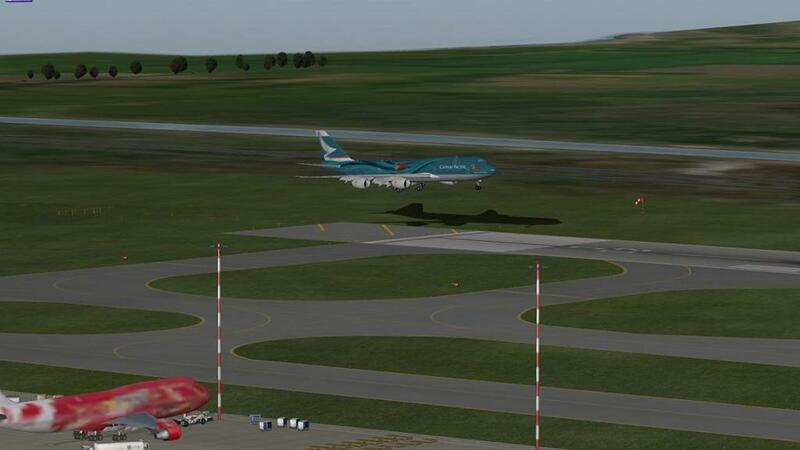 The issue is the situation that is it the aircraft that not quite perfect that makes you make slight mistakes. Or did you make those minor mistakes that add up to a poor flight. 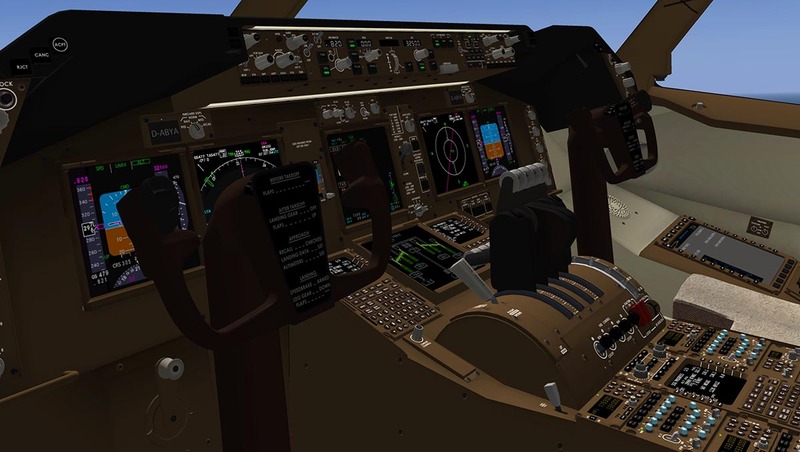 The evaluation is not just your performance but also the aircraft's or the designers/developer of the aircraft you are flying. 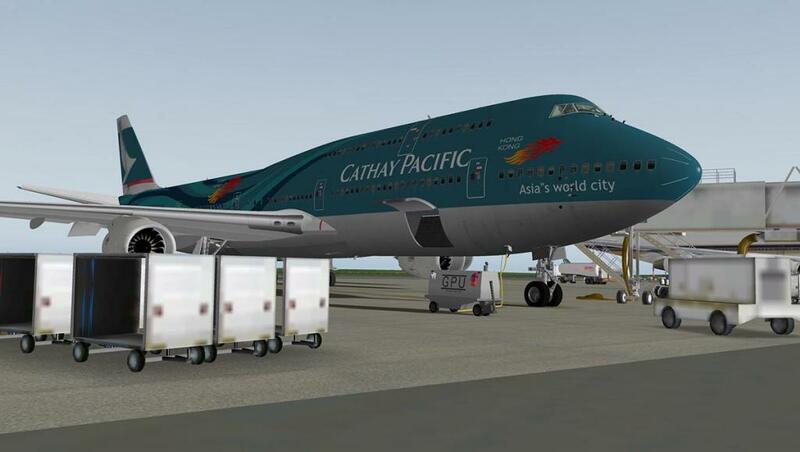 In other words you are looking for the perfect simulation, that perfect integration of you and the aircraft together. To get that perfection or as close to the real world in performance you practise and evaluate at every step on what or where you fly. 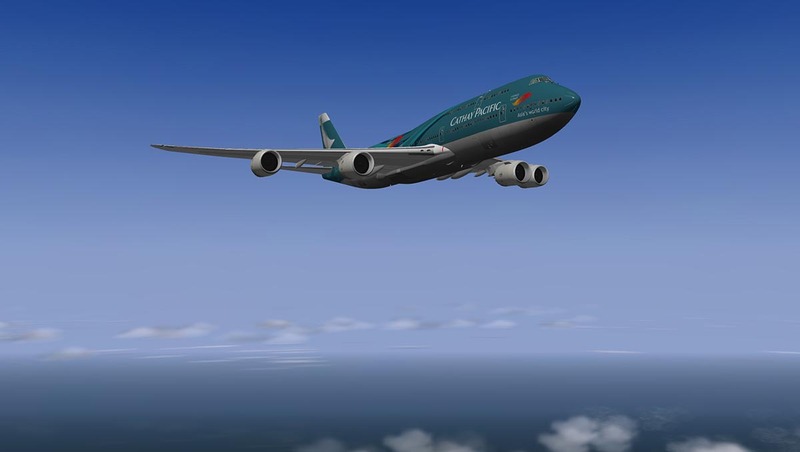 But the aircraft has to right as well for you to achieve both goals. 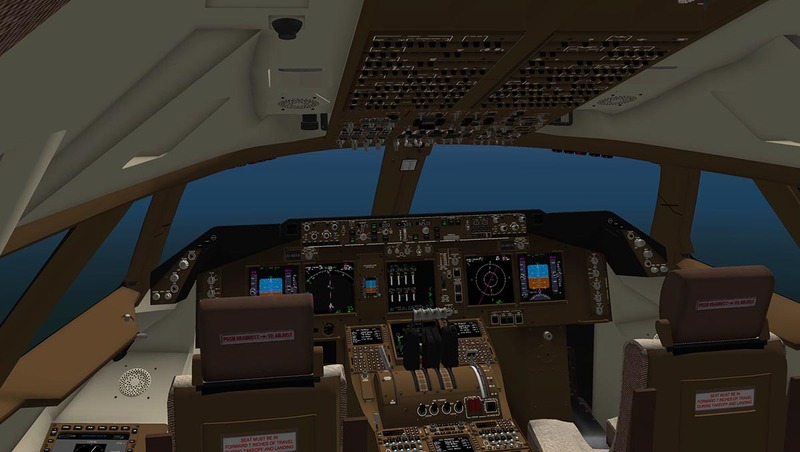 You sit back as the aircraft winds down and evaluate your flight and you can have several answers, It was perfect, It was okay with a few minor mistakes or that was a "Complete disaster". 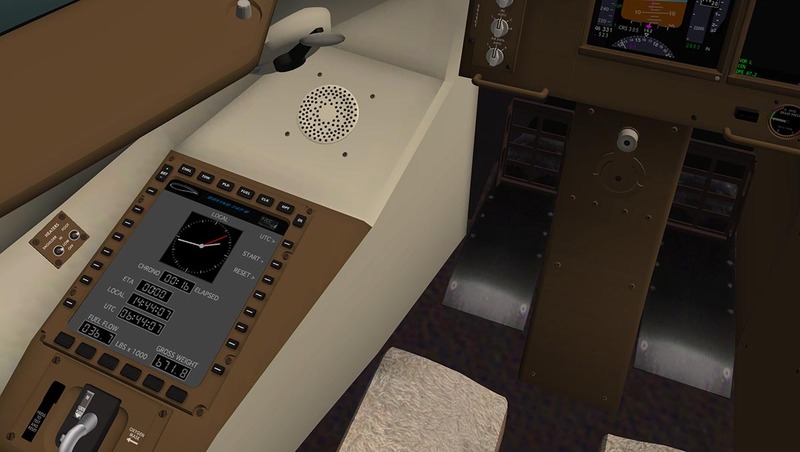 In most cases it is the middle line that you achieve, but your aim is still "perfect", and most times you do achieve some sort of perfection or professionalism in what you are doing, and remember these are very complicated machines to operate correctly and to the numbers. Overall it comes down to "That was really, really good, I am very happy with that" (Performance)... 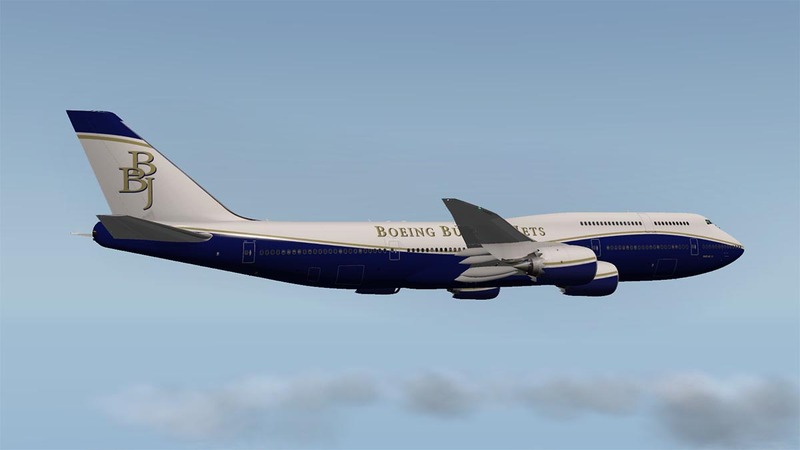 So how does that relate to the SSG Boeing 748i? 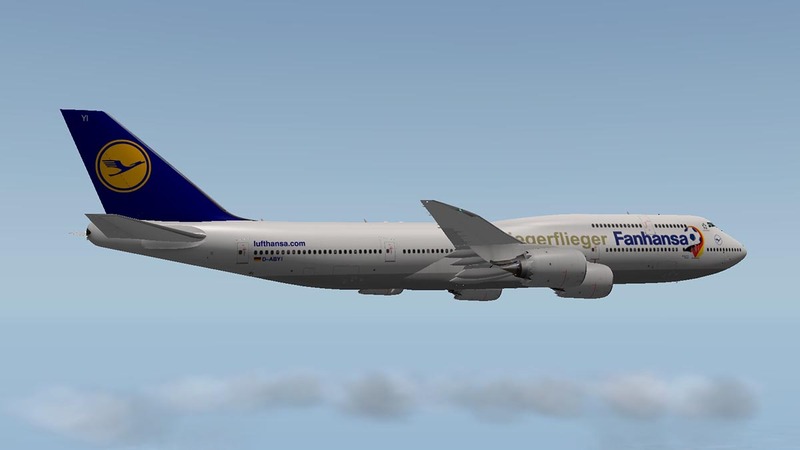 The aircraft is now extremely good and on par with the B777 and the B757 from FlightFactor and FlyJSim's twin 60's Boeings the B722/732. It flies extremely well, and does all the profiles right on the numbers, but more importantly it feels right, and it feels very good... 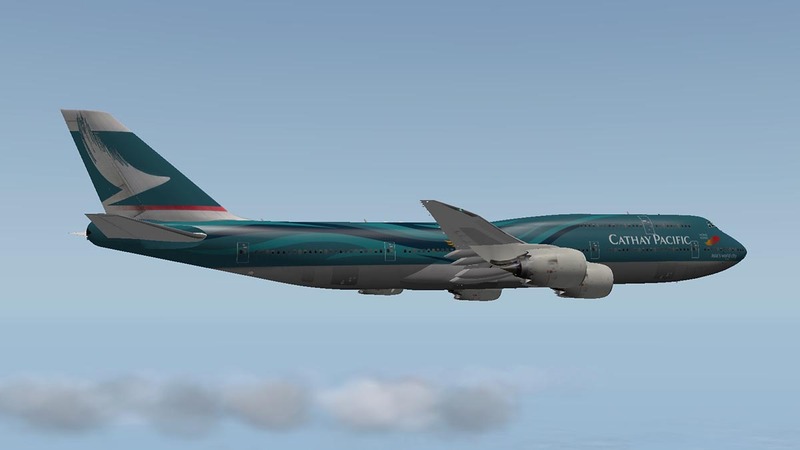 Nothing is totally perfect, but then neither is the B777/757 as well.So if you like heavies then the SSG B748i certainly should be part of your fleet, It is nothing like the release version from before Christmas 2013. and it is now stocked with features. Better still the price is lower as well so your buck now goes both ways... Great value and a great deal. Yes it is and a great aircraft to master as well. Installation. Download is 191.40mb (expanding to 515.50mb on disk). 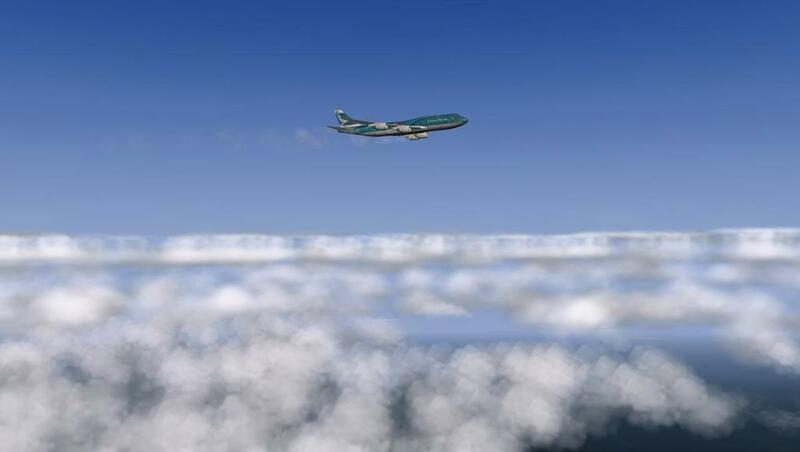 just drop into your Aircraft folder and the activation (key) is required. Windows XP or Windows Vista or Windows 7 / 8 (32 or 64 bits) or MAC OS 10.7. 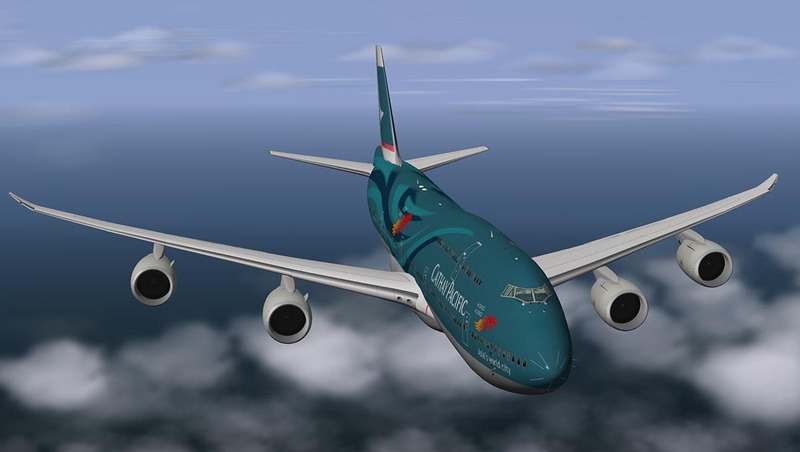 - Improved hydraulic system AUX pump behavior and indications. - Changed some light annunciator behavior.